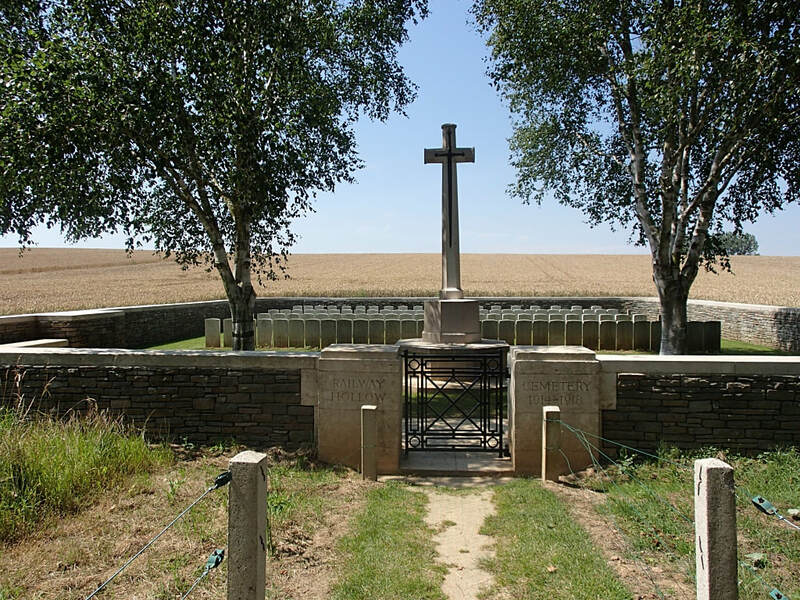 Hébuterne is a village in the Department of the Pas-de-Calais. 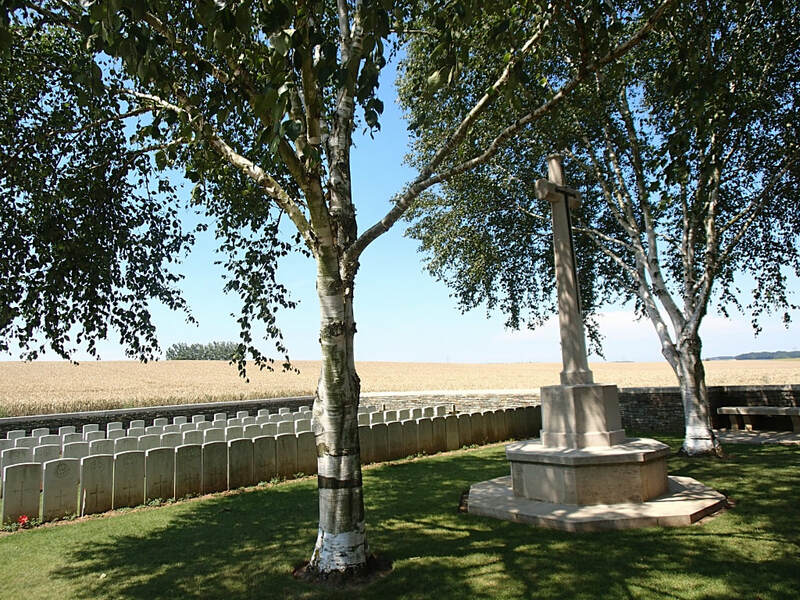 Using the D919 from Arras to Amiens you will drive through the villages of Bucquoy and Puisieux and then Serre-les-Puisieux (approximately 20 kilometres south of Arras). 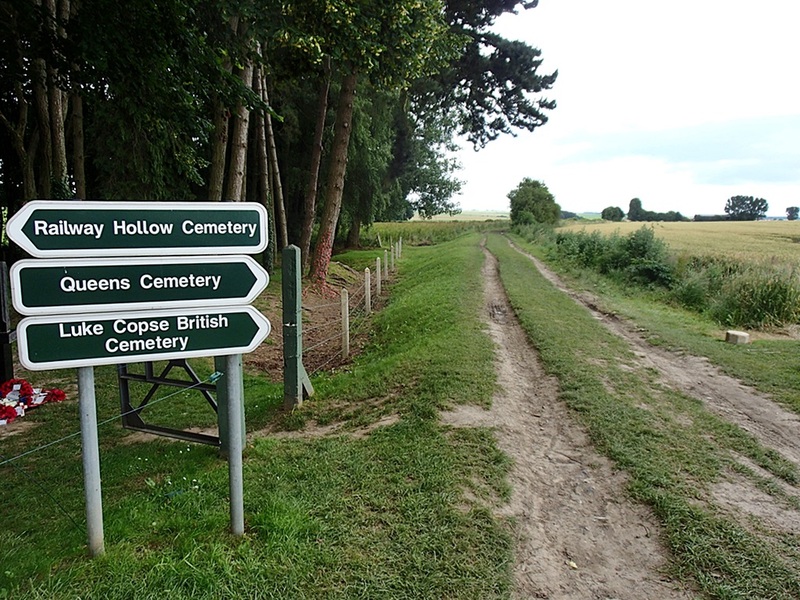 On leaving Serre-les-Puisieux, 600 metres further along the D919 there is a right hand turn onto a small lane which will take you directly to Railway Hollow Cemetery. 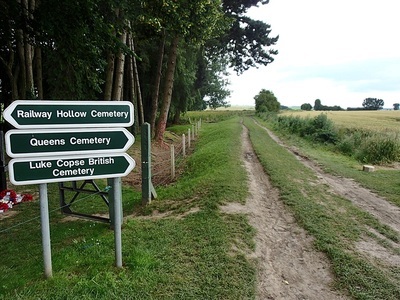 It must, however, be emphasised that this lane is not suitable for cars and buses. 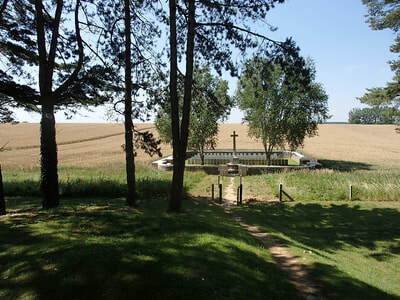 Hebuterne village remained in Allied hands from March 1915 to the Armistice, although during the German advances of the summer of 1918, it was practically on the front line. 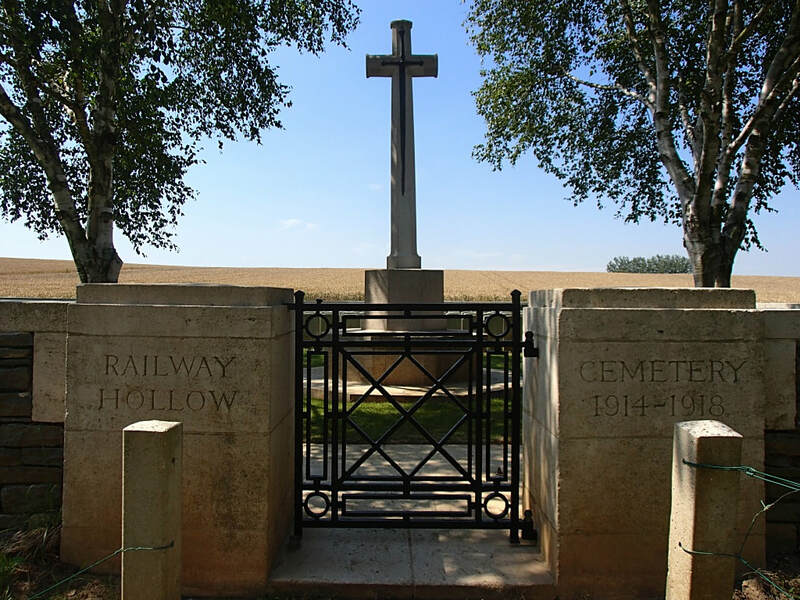 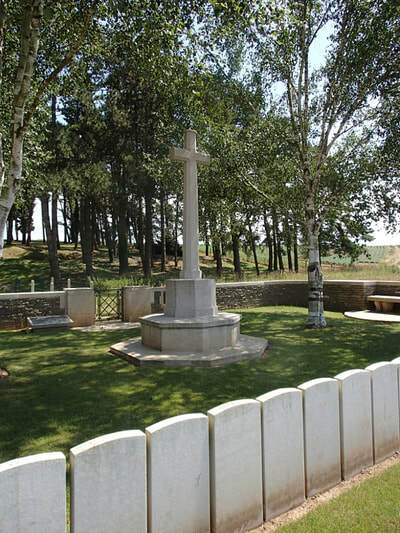 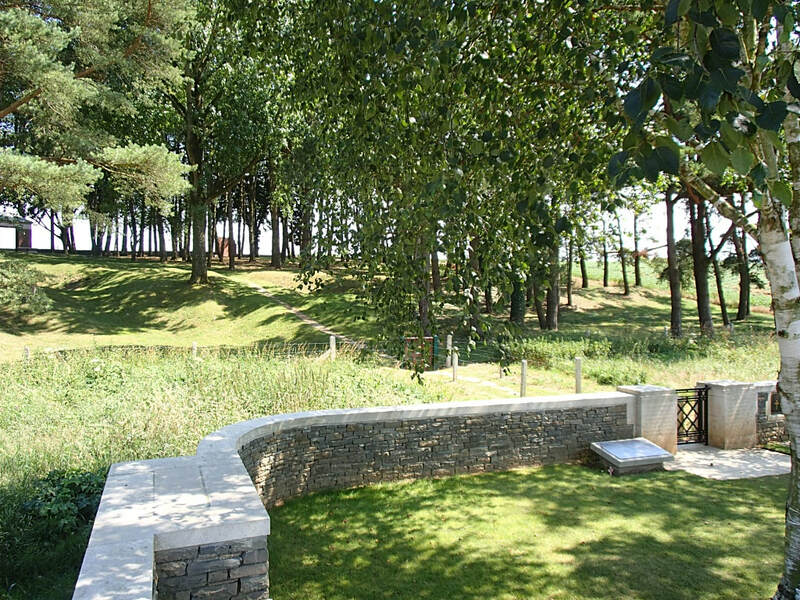 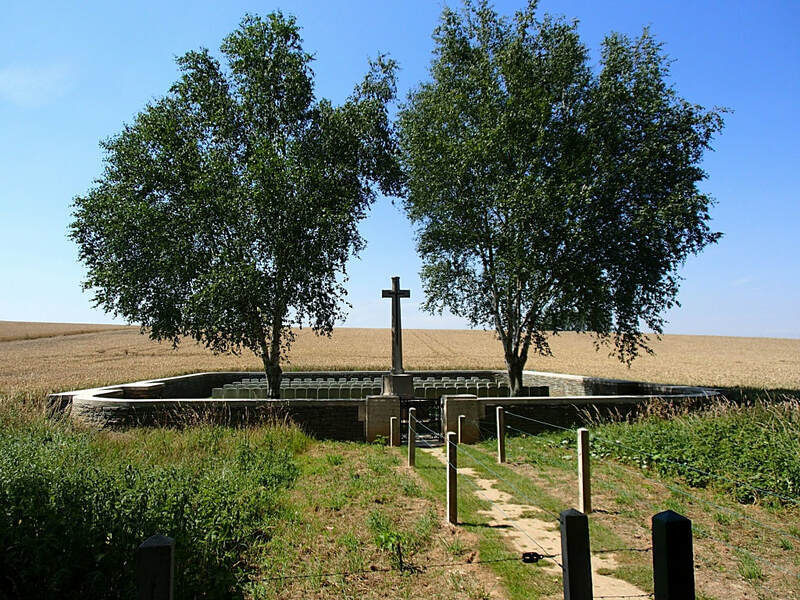 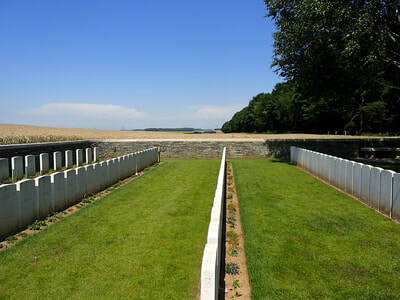 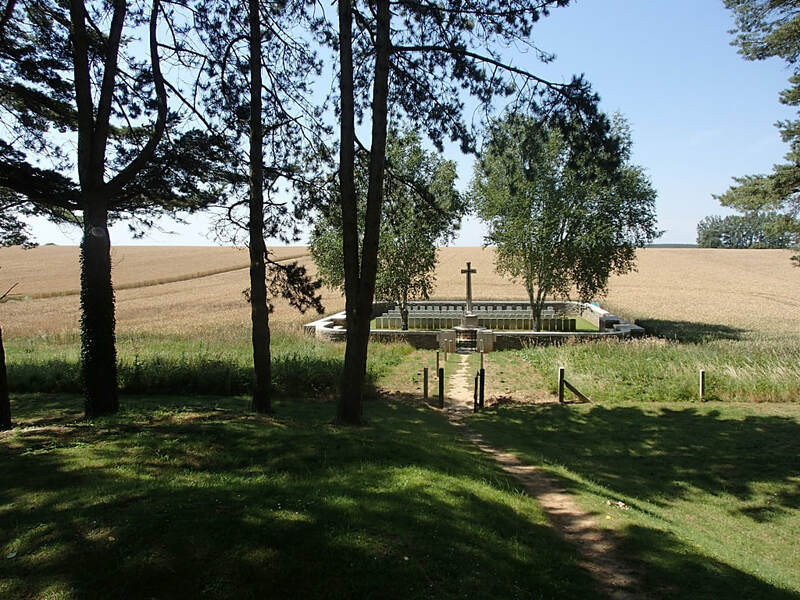 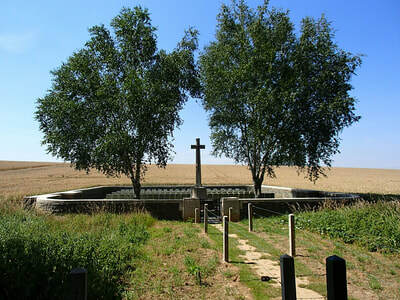 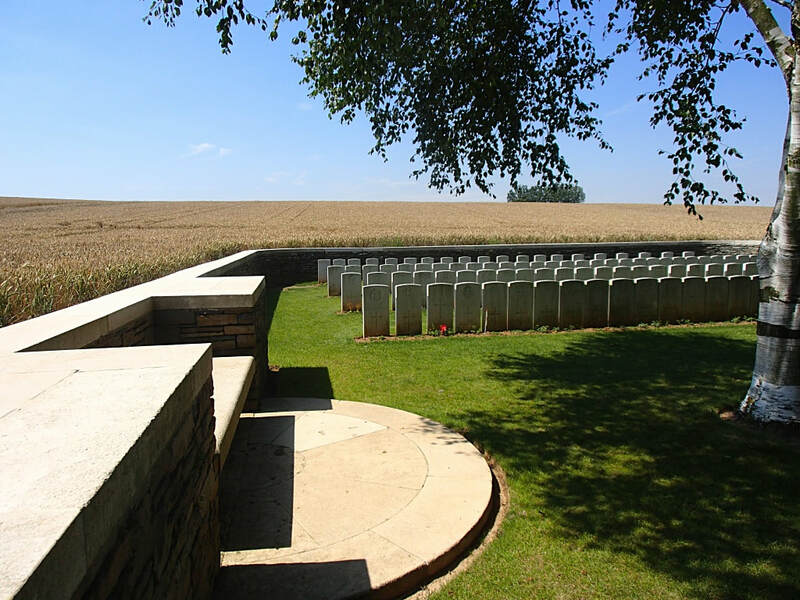 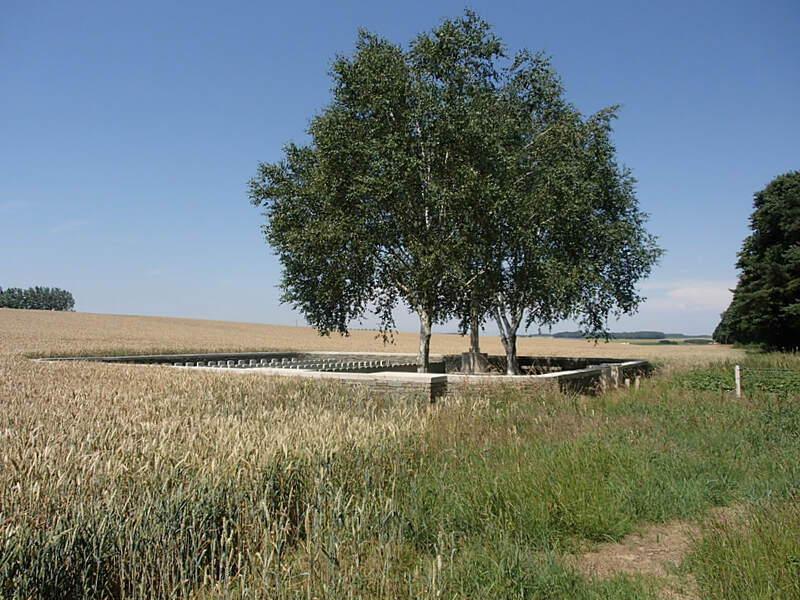 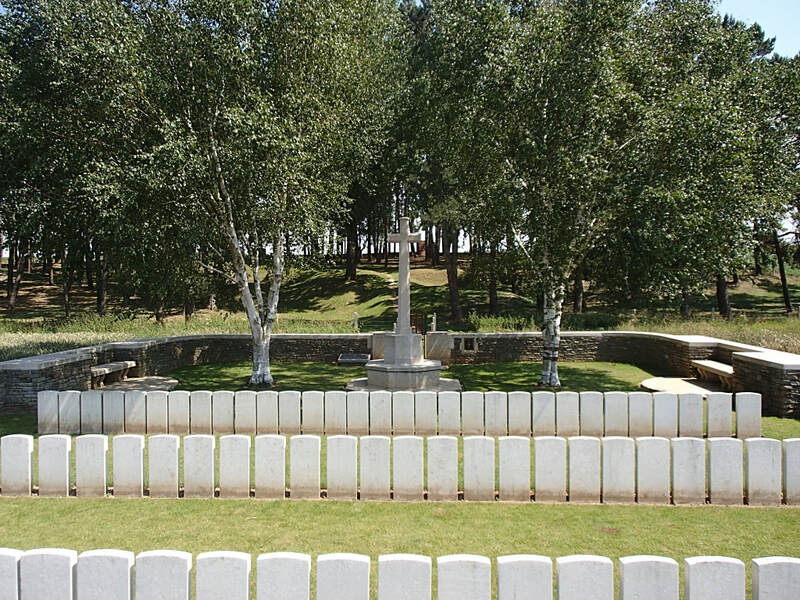 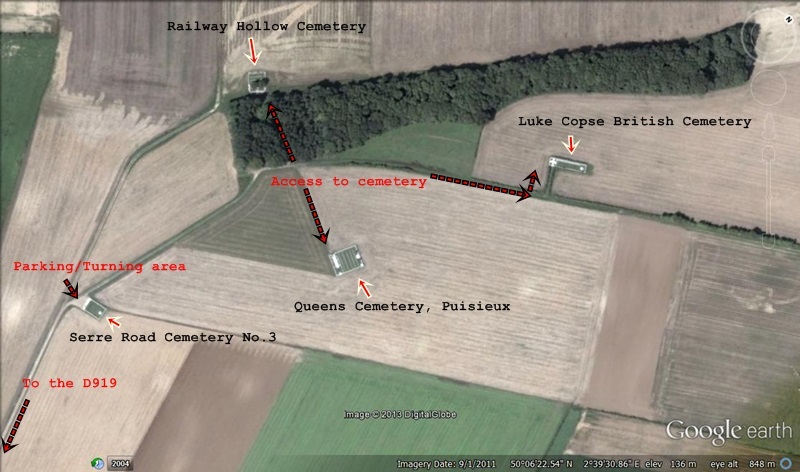 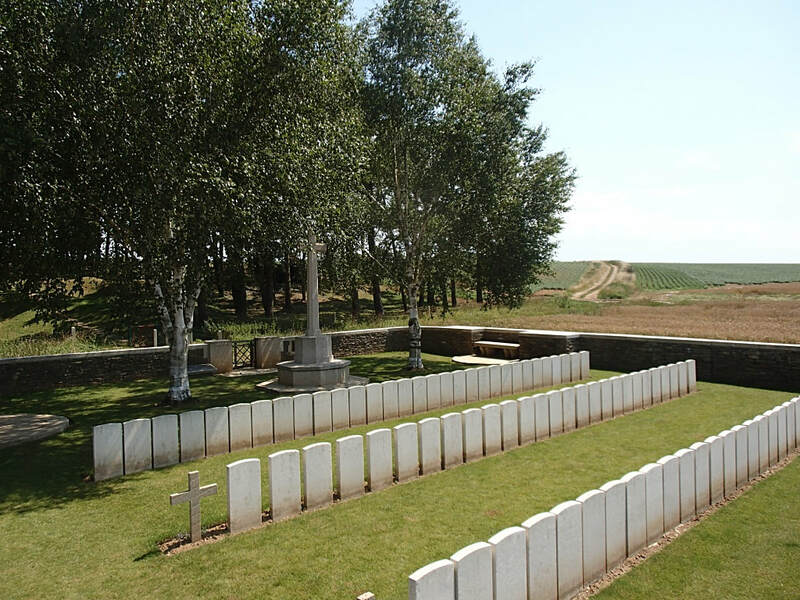 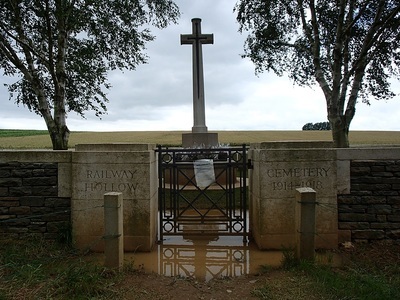 Railway Hollow Cemetery is in the British support line of July 1916, about 1,100 metres west of Serre and 200 metres west of the plantation called "Mark Copse." It was made by the V Corps (as V Corps Cemetery No.3) when the Somme battlefields were cleared in 1917, and contains the graves of soldiers of the 3rd, 19th and 31st Divisions who died on 1 July and 13 November 1916, and 5 February 1917. 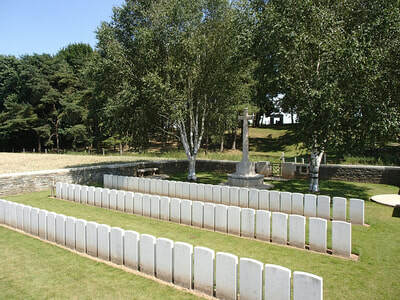 The cemetery contains 107 Commonwealth burials of the First World War, 44 of which are unidentified. 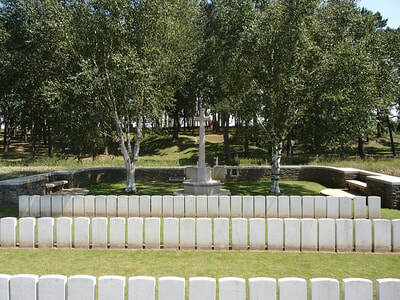 There are also two French war graves. 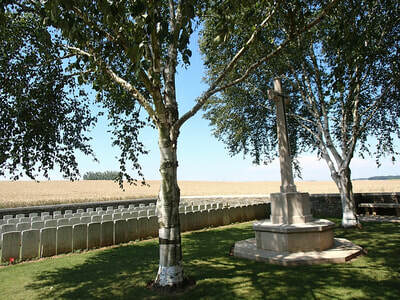 Casualty Details: UK 107, France 2, Total Burials: 109. Between 1st July 1916 & 2nd July 1916, aged 22. 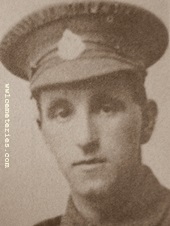 Born in Hull, Walter was a Shipping clerk before joining the army. 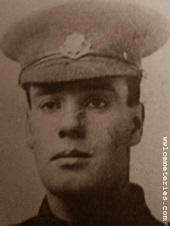 1st July 1916, aged 28. 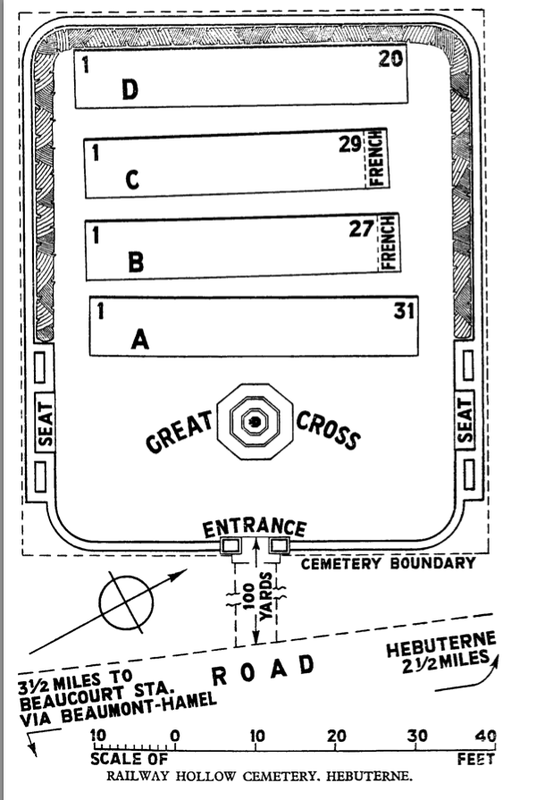 Son of James S. and Elizabeth Ingham, of Meadow Bank, Fence, Burnley. 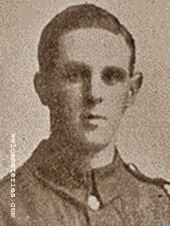 Son of Helen Fisher Ingham and the late John George Ingham; husband of Clara Wells (formerly Ingham), of 89, Wellington St., Accrington. 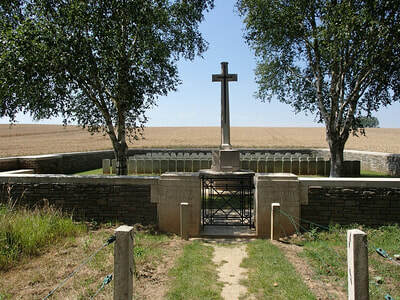 Between 1st July 1916 & 2nd July 1916, aged 26. 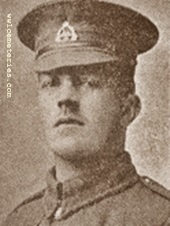 Son of Peter McKenna and Agnes Riley, his wife, of 5A, Monk St., Accrington. Between 1st July 1916 & 2nd July 1916, aged 24. 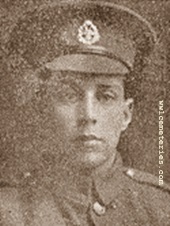 Son of Mr. W. H. and Mrs. E. Ormerod, of 85, High St., Rishton, Blackburn. 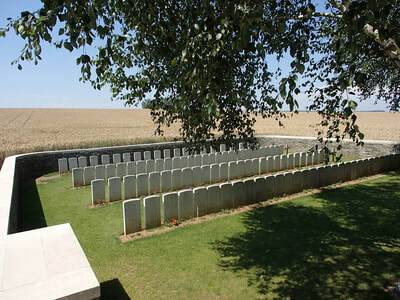 Between 1st July 1916 & 2nd July 1916, aged 25. 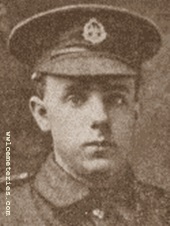 Son of Mr. and Mrs. Pickup, of 33, Commercial St., Rishton, Blackburn; husband of Clara Pickup. Resided at Bank Street, Burnley. 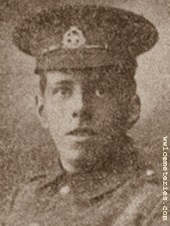 Fred worked in a foundry before joining the army.